It is not for the first time in the history of Indian judiciary that differences between judges have arisen. The problem is the inability of judges in the recent past to address those differences and find solutions within the system. While judges are supposed to speak only through their judgments, there was a departure from that tradition when the four judges called a press conference. And, once the judges opened the doors, they let the media and the politicians creep into their affairs. There has been criticism that people are doing politics over this. I do not hold politicians responsible. If Supreme Court judges come out and make a statement that democracy in this country is in danger, any politician, howsoever lazy he may be, will wake up to find out what is happening. So, when political parties started talking about this, different moves were made—including the proposal for impeachment of Chief Justice of India Dipak Misra—it was because judges allowed this situation to arise. This might have been because of the chief justice's inability to carry his colleagues with him, which is not always guaranteed. So long as the chief justice gives a patient hearing and gives reasons to why he is acting in a particular manner, the judge should not feel ignored or belittled. Something appears to have gone wrong in the matter of allotment of cases, with the chief justice as master of the roster. In my tenure as chief justice, nobody ever raised any objection to the case allocation. It never happened because you have implicit faith in the chief justice's fairness. It is not clear whether the four judges have made any move to involve other judges in the process of correcting the system. The other judges have not expressed any opinion in public. And, I think that is the right thing to do. Just because four went gone to the press, another four should not hold a rival press conference—because that would be worse. I feel that sometimes judges tend to carry feelings of having been given an undeserved treatment, in the sense that they should have been elevated much earlier. 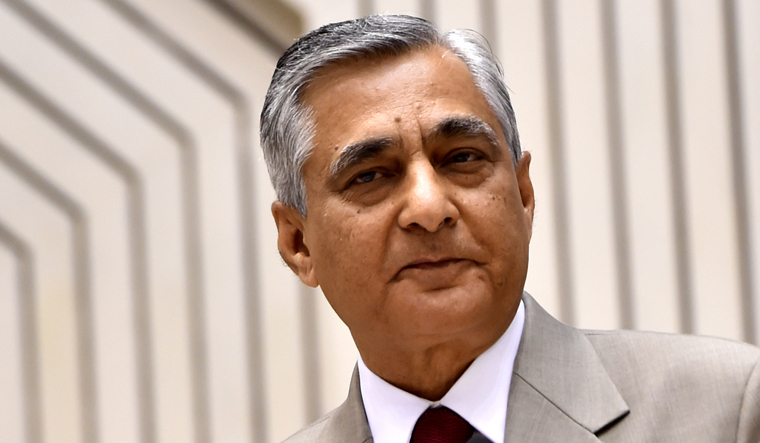 Some judges feel they should have ended as Chief Justice of India. I am not too sure whether that was the trigger in this controversy. But, I feel that whatever personal grievances you may have had against the collegium system, you are all products of the very same system. And, if the system has dealt with you in a particular fashion and yet brought you to the Supreme Court, then even if there was some aberration in the course of that journey, you should leave that baggage behind and come and serve the Supreme Court. Otherwise, you should say thank you very much, you have dealt with me very badly, I do not want to be part of the Supreme Court. I am not saying this is the reason the crisis has arisen, but I am mentioning this because this is the only reason that can possibly distort the situation. The positive side is that there has been a lot of criticism about the working of the institution, and criticism, at times, helps in course correction. Another issue is that of appointment of judges to the High Courts and the Supreme Court. Appointments have been a problem ever since this government came to power. Some appointments were made after a lot of coaxing and goading. And then they turned around and claimed credit for appointing 126 judges. I do not know why they are not taking any credit now. Justice K.M. Joseph is a very able, a very competent and a very independent judge. He was under consideration during my tenure also. I feel the collegium has resolved to reiterate his name, and I think that the right thing to do. Independence of judiciary is not negotiable. If the judges stand up to the government, and they remain firm in their conviction, there is nothing that the government can possibly do. And I can assure you that there are judges who, when the time comes, will always rise to the occasion. Thakur is former Chief Justice of India.